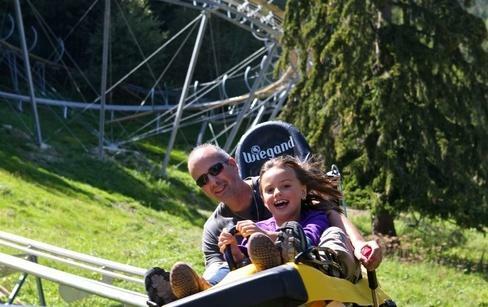 Bobsleigh, Dowhill-scootering, Grass scooter, minigolf, Cheese dairy on the alp. Accessible according to individual's wishes and abilities. 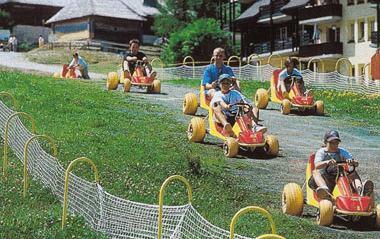 A system of tokens gives you access to all these leisure pursuits: Bobsleigh, Dowhill-scootering, Grass scooter, minigolf, Cheese dairy on the alp. 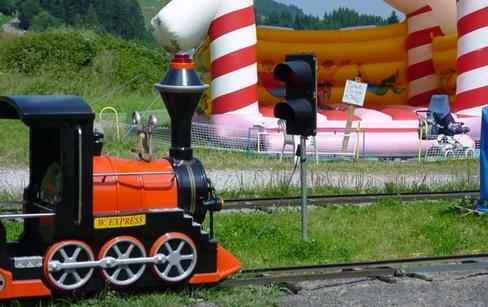 Attention: one must be taller than 1.4 m. (1.10m for the bobsleigh) You can however take a smaller child with you if you wish.